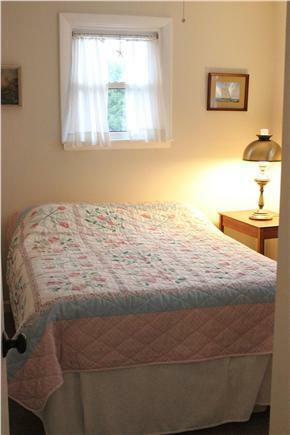 This cottage has everything you'll need for a quiet and relaxing getaway. 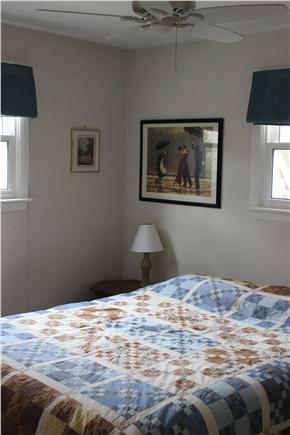 At the rear of the cottage are three modest bedrooms, one with a queen size bed, one with a full size bed and one with a twin size bed. There is also a small folding cot with a thin mattress really only suitable for a small person. 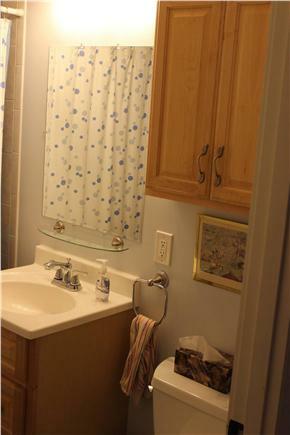 The bathroom has been completely renovated recently. The eat-in kitchen seats 6 and opens onto a comfortable living area. From there, look through the large windows to a beautifully landscaped sitting and outdoor dining area. 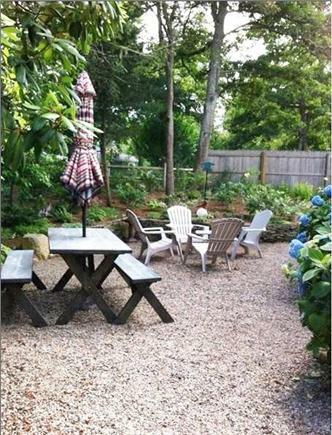 This includes a picnic table and additional seating for entertaining. The cottage is set back from the quiet street and surrounded by trees and gardens. Short trips take you to shops and restaurants, bakeries, convenience stores and supermarkets, museums historic sites, and our library. 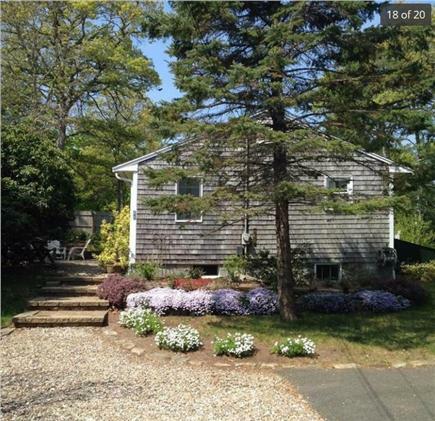 Located within 1 mile of the Cape Cod Rail Trail, within 2 miles to Bay beaches and quick access to the rest of Cape Cod via the Mid-Cape Highway. 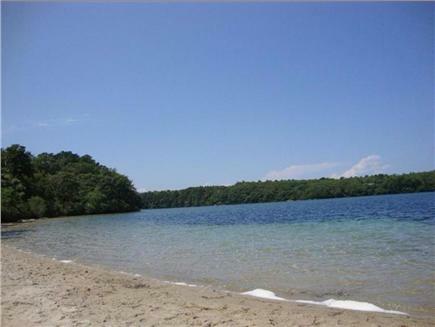 But best of all is the Private Beach on Sheep Pond, a very short stroll away. My family of four stayed at this home this year and we couldn't have been more pleased. 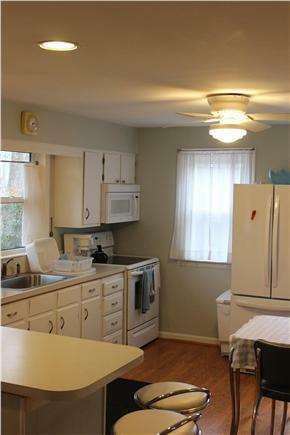 The inside of the home was completely spotless and was tastefully decorated. 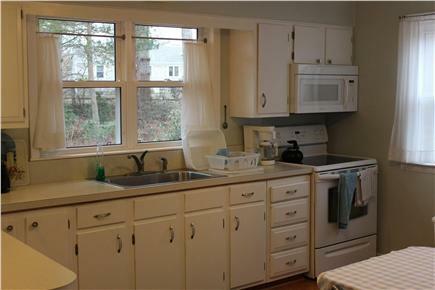 I loved the "vintage" kitchen, with enough seating to eat inside if we wanted. 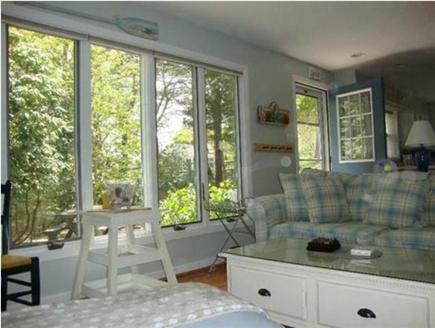 The living room area was very comfortable and the television is updated with plenty of available channels. 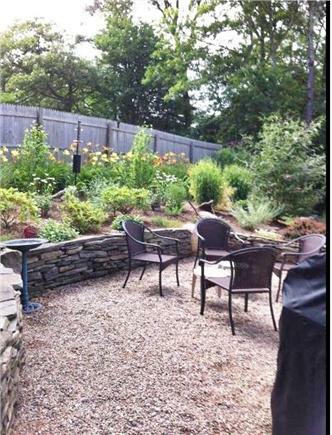 Just as important as the inside, the outside was beautifully landscaped with two choices of outdoor seating. We had an A+ weather week so we took full advantage of eating outside and taking outdoor showers. We stayed off season to visit with family. 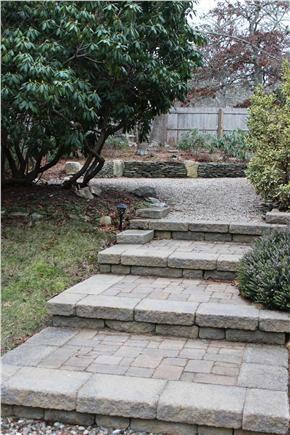 The yard is uniquely landscaped and in a quiet neighborhood yet just a few minutes from local conveniences like Ferretti's market. Sheeps Pond is a five minute walk away (if that) and quite serene. The beaches are also just a 5-10 minute drive away, or a quick bike ride. Nickerson State Park and the shops in Brewster are also quite close. She says, "really cute." He says, "great, quiet location." The cottage had everything we needed. Sheep Pond is the classic Cape pond - quiet and crystal clear. The access to the bike trail is really good. Shopping and all that are close by, but when we were sitting out in the beautifully landscaped yard, it seemed like the shops were a thousand miles away. Doug gave great advice on beach access and woodland hikes. Brewster is our favorite. Check out the mill for some history! 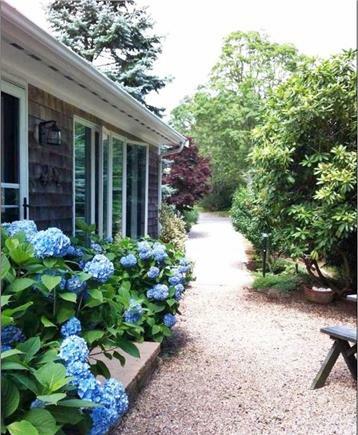 This cottage allows access to private association beaches on Sheep Pond, which is widely known as one of the cleanest and most beautiful on the Cape. Walk, ride or drive to the beach. Daily, our several bay beaches provide pounding surf for swimming and boating at high tide, and wide expanses of ''the flats'' for walking and exploration at low tide. 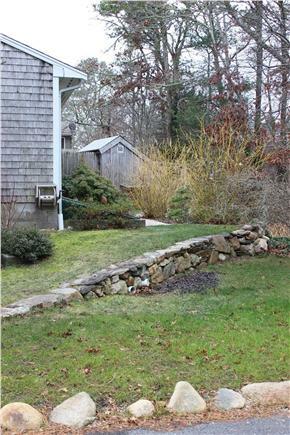 Brewster has the most freshwater ponds of any town on the Cape. Many of the walks on trails through the 100's of wooded acres in town will bring you to within view of these peaceful ponds. Our town boasts the Cape Cod Museum of Natural History, Nickerson State Park, miles of walking and biking trails, Drummer Boy Park, the Brewster Ladies' Library, the Stony Brook Gristmill and Museum, (where you can watch the production of stone-ground cornmeal), and many shops, restaurants, and cultural venues and events. 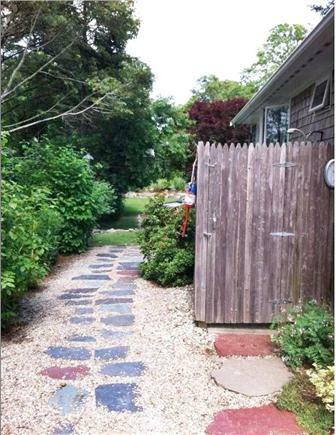 All in all, Brewster is one of the most unspoiled, picturesque, and peaceful of the 15 towns of Cape Cod.